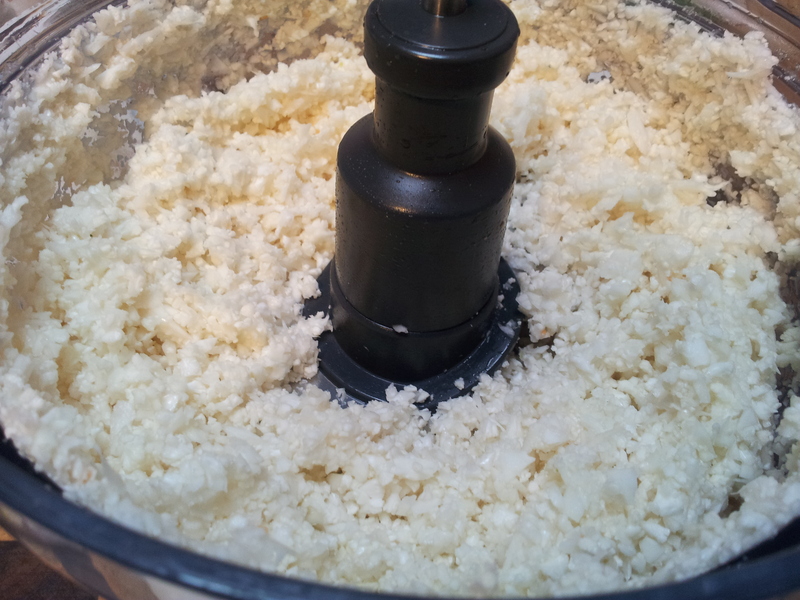 Process until similar to rice. 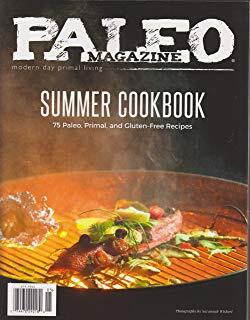 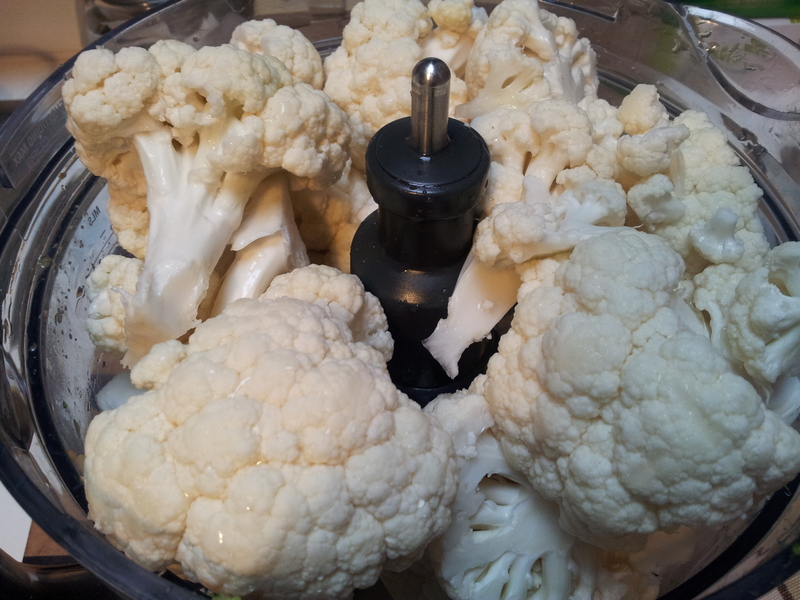 The cauliflower rice can now be added to a pan and lightly cooked such as in a stir fry. 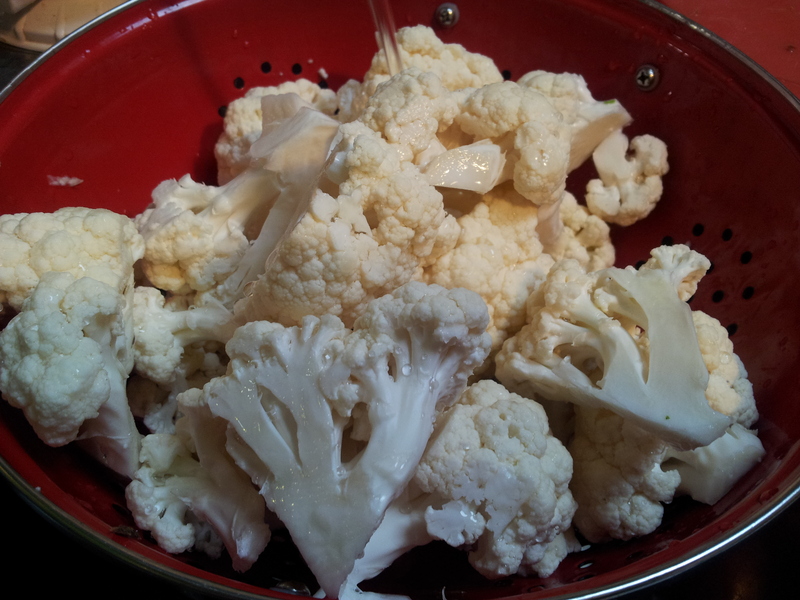 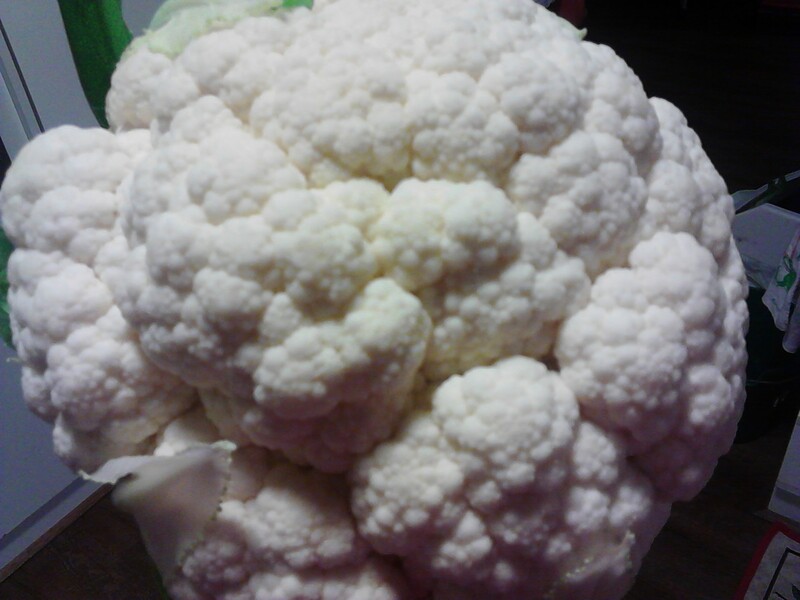 The cauliflower will soak up any spices that are added and change colour.